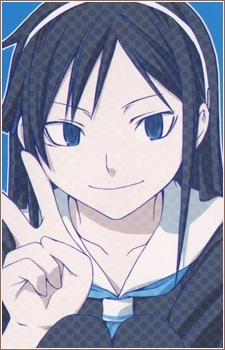 Black-haired, dark-eyed, slender and pretty Kumiko Komori temporarily transfers into the same school as Samatarou and Tenko and becomes Samatarou's first crush. After becoming the victim of some emotion-influencing by Misa and Meme, Kumiko develops genuine feelings for Samatarou when he saves her from a nasty fall. Later, when she again transfers into the school, she tries to develop a closer relationship with Samatarou, but startling revelations are made. It turns out that Kumiko is the daughter of a female devil, who targets Samatarou and his family. Kumiko has been looking after her mother, feeding her the energy of human souls, ever since her demonic powers started manifesting in middle school without any kind of reciprocation. In the end, she tries to escape her fate as a devil and asks for Samatarou's help.